After weeks of procrastinating I jumped into the muslin phase, and it didn’t take long to figure out that I’ve got my hands full with this pattern. There were some pretty glaring problems right out of the envelope. So I decided to do some “preemptive” adjustments. First off, the center back seam is ramrod straight and I know that I have what Roberto Cabrera calls “stooped posture”. Doesn’t sound very attractive, but it beats Dowager’s Hump any day! (Actually, I think they’re one in the same). I need more curve to the upper back, otherwise the collar will pull away from the back of my neck. Not a good look. I removed 1/2″ both above and below the elbow on the “shorten here” lines from my pattern. Using Swedish tracing paper makes this a breeze. I just fold it and stitch a 1/4″ seam on my machine. I also reduced the ease on the sleeve cap by 1″. My goal is to create a more natural shoulder. Time will tell if I can pull that off. Lastly, I noticed the the front and back shoulder seams are the same length. According to Cabrera the back shoulder should be at least 1/2″ longer than the front. Easing the back into the front creates room for the shoulder blade. I don’t have a picture, but I simply added 1/2″ at the arm hole side of the pattern. So here’s what those changes turned into….. The center back adjustment has worked, but I think I still need a touch more curve. As you can see the collar still doesn’t want to sit against the back of my shirt collar. The shoulder seam is also running to the back of my shoulder. This isn’t a fitting issue addressed in Cabrera, but I feel that the shoulder line needs to be swung forward about a 1/2″ so that it sits closer to the apex of my shoulder. It would be a simple fix. Please chime in if you know the answer to this problem! Am I on the right track? My gut just tells me it needs fixing. Eeeeek. The big problems are up front. The neckline is just too wide. Plus, I feel the jacket pulling across the shoulder / upper chest like there just isn’t enough fabric there. I think the solution to this mess may be two pronged. I’m going to try redrawing the neckline to add a bit of fabric towards my neck, in addition to slashing and separating the upper chest portion a small amount. Maybe 3/8″ to start. I’m open to all suggestions on this one. Something’s gotta give! All these wrinkles are telling me I need a substantial belly adjustment! Also, the button placement (marked with chalk) on the original pattern is unusual to say the least. I’ll need to lower the stance by bringing the top button down at least to the level of the pin, maybe even lower. Before sending this muslin to the dust bin, I let the side seams out about 3/4″ on each side. On a brighter note……I picked up some lovely thistle design blazer buttons on eBay. These are from Waterbury Button in Waterbury, CT. “The brass Capitol of the United States”. I love them. Now I just need to build a damn jacket around them! Muslin #2, Mrs. Mole’s fix and MORE! 1/2″ on back shoulder seam is a lot! on industry you would use 0.7 mm difference, and about 1.5cm top if you use super heavy fabric as heavy wool. Even though you do not want to use the term dowager's hump, that is what you need to bring the back neckline up and forward by 1/2 inch. Slash across the line where a yoke would be and leave a hinge on the armscye. Allow the slash to open 1/2 inch and add paper under the new opening…tape down. This works for all patterns that have a center back seam. Good luck! I wouldn't call it “dowager's hump” since that to me is the exaggerated osteoporosis curve needing almost a two piece yoke but the “high round back” alteration as found in the Palmer and Pletsch fitting books. I do a high round back on every top pattern now exactly as Mrs Mole describes as it raises the neckline so the garment sits where it is supposed to. And since I have sloping shoulders, this correction is usually enough that I don't need to monkey with the armscye. I am enjoying watching your progress and look forward to the final garment. Your garments always look perfect. 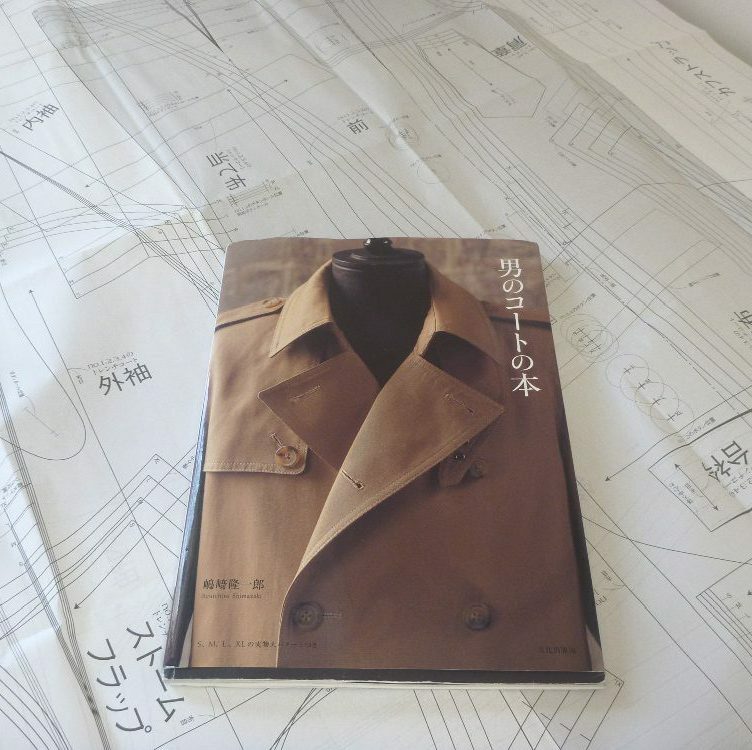 But since you asked… The books I am using on my new jacket project are https://www.scribd.com/doc/276917228/Easy-Guide-to-Sewing-Jackets and https://www.scribd.com/doc/255894999/Men-s-Wear-tailoring-Techniques. These are free to download. I had the wrong link in my first comment. Oops! Super old post, I know, but the backwards slanted shoulder seam is a feature, not a bug. It actually helps with rounded back posture as it straightens out the shoulder without the need for too much padding. The collar needs to be shortened along with the back seam while raising it up a bit to address the fitting around the neck. Is this a commercial pattern? If so, which one? Thank you! The pattern is a vintage McCall’s #9636. I gave up on it and moved on to other projects. Still, I want to conquer this pattern some day. It’s unique in that it doesn’t have a front dart, rather the dart is at the side. This makes it ideal for a plaid jacket, since the plaid would be uninterrupted on the front of the garment. Someday!